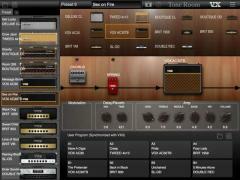 Tone Room is a reliable tool you can use to edit the parameters of your VOX devices and see the changes in real time. It can only be used for USB-enabled VOX devices and bundles various presets in a modern and intuitive layout. The application displays a large number of presets, which you can edit as needed to apply various effects to audio samples. Any of the effects can be toggled on and off quickly, plus the effects are instantly applied. This way, you can quickly decide if the resulted sound is what you wanted to achieve or you will need to go back and tweak the values even further. Also, the program come with a dedicated section for editing parameters, where all you need to do is select the device and enable/disable the features.